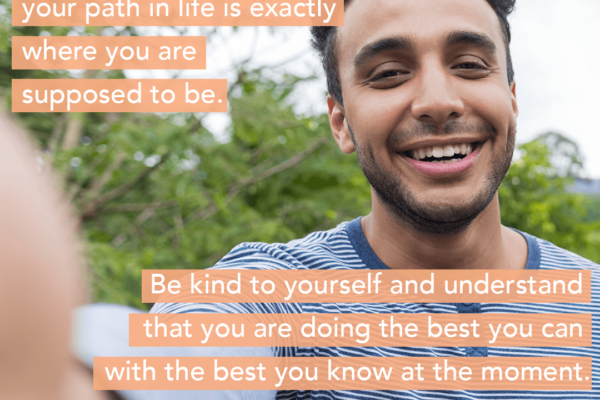 National Minority Health Month is celebrated every April to learn about the health of racial and ethnic minorities in the United States, raise awareness about health disparities, and promote health equity. 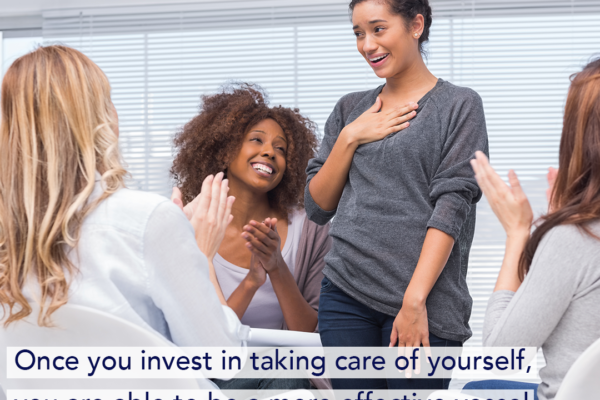 This year’s theme is partnering for health equity. 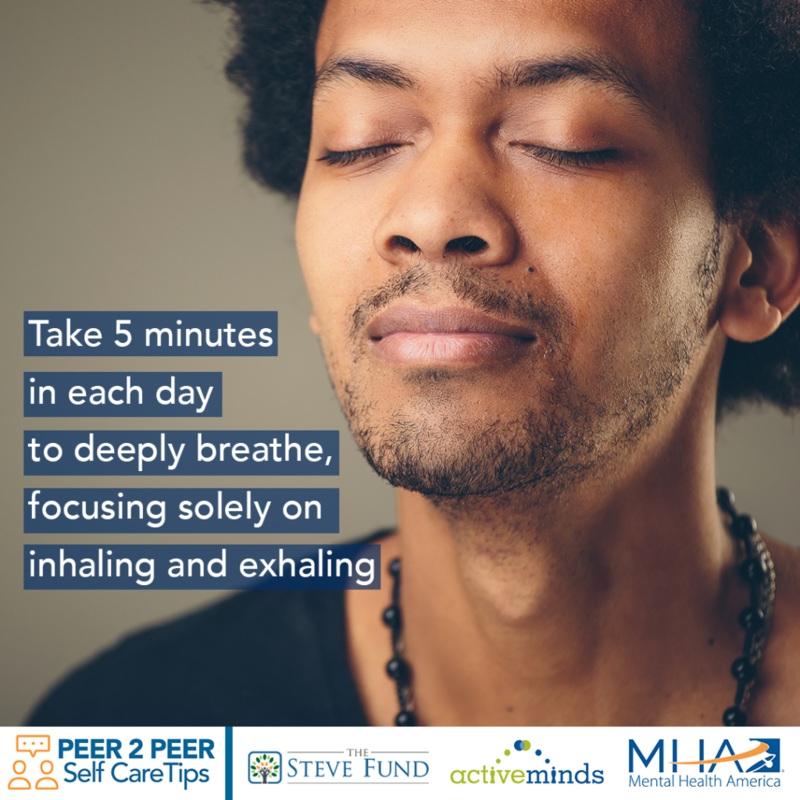 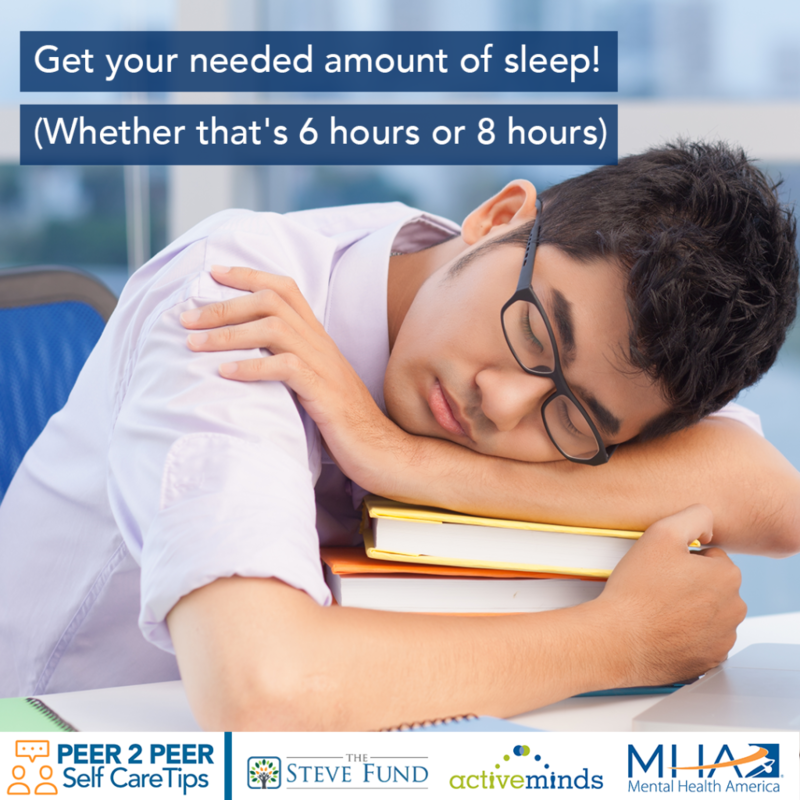 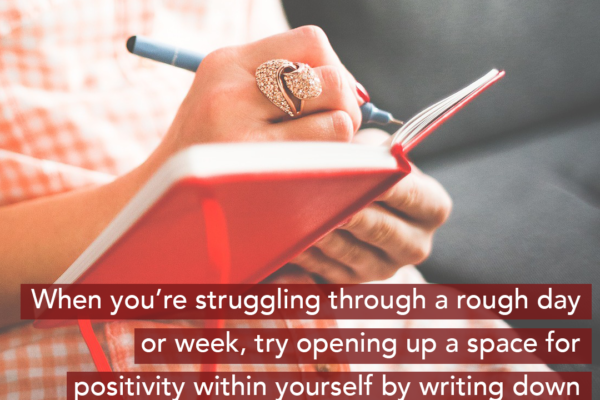 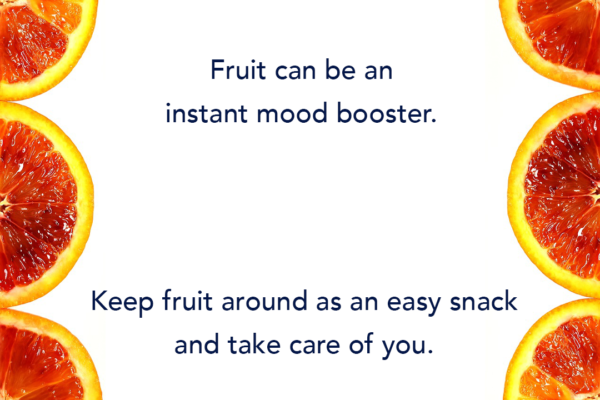 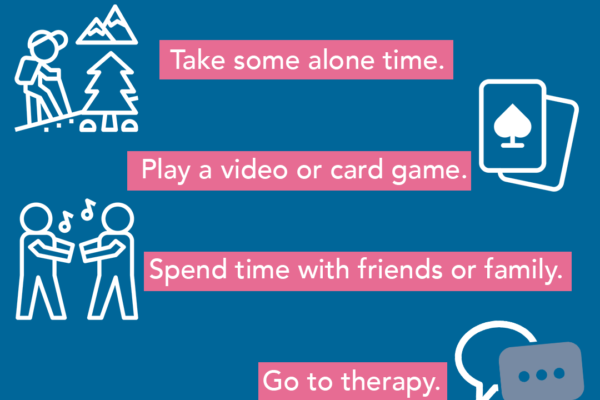 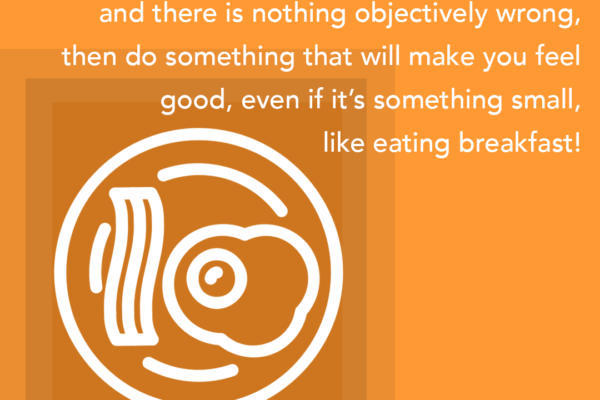 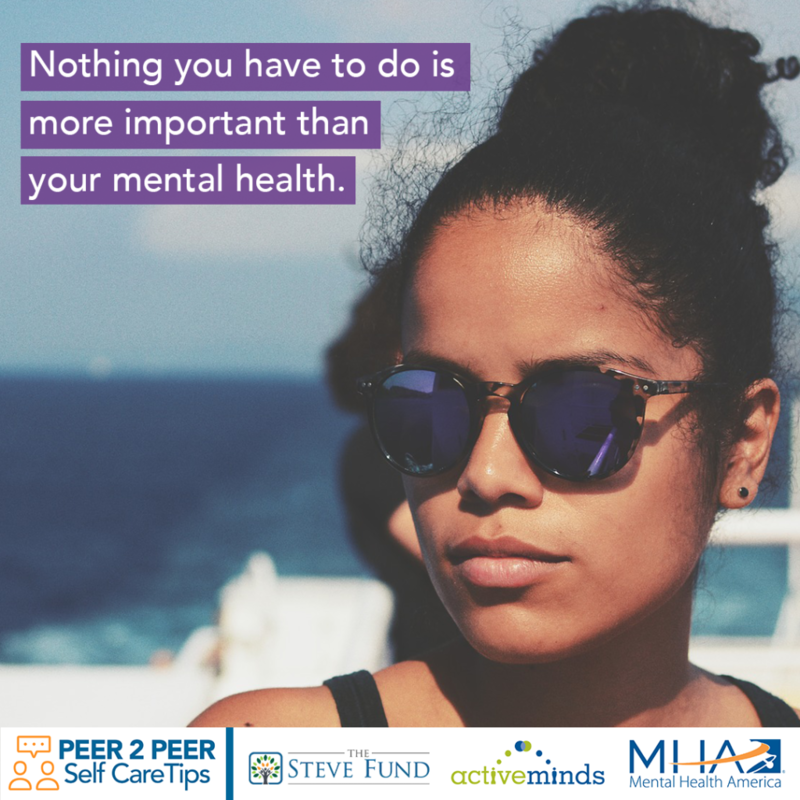 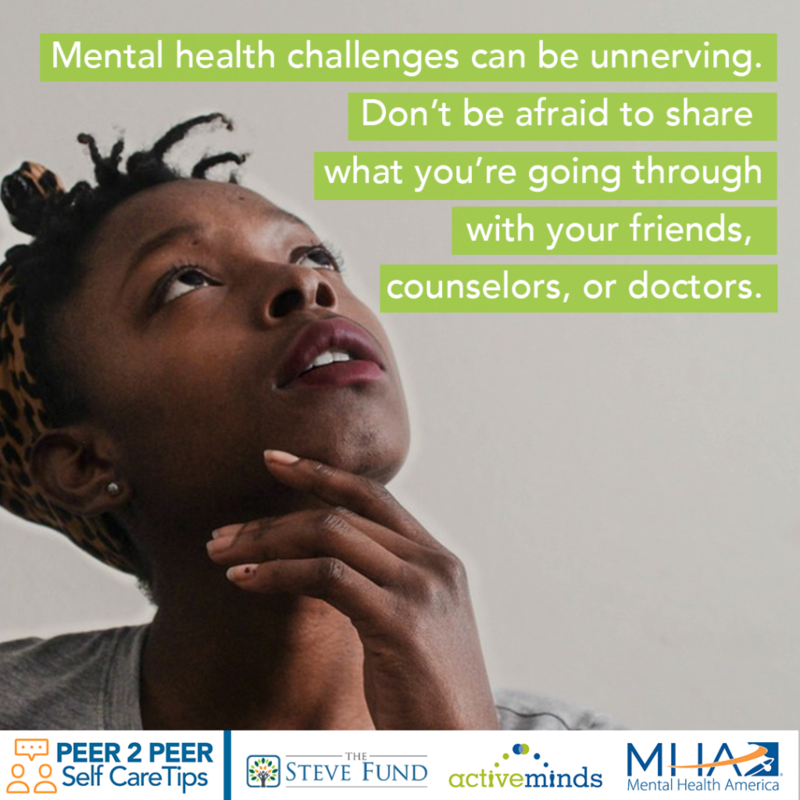 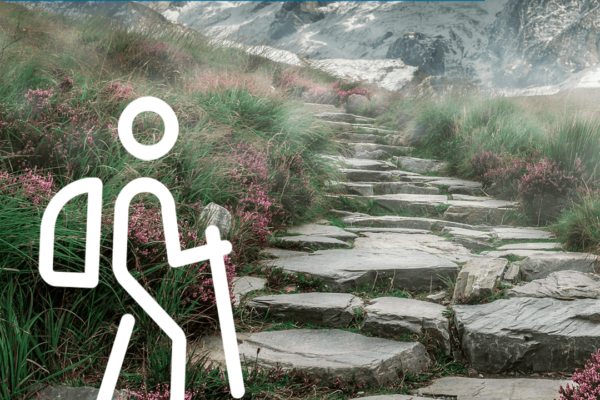 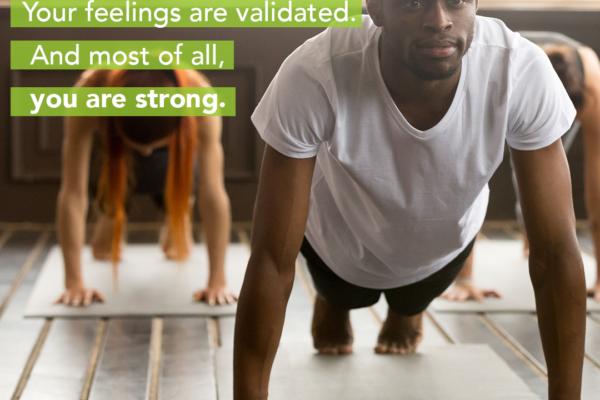 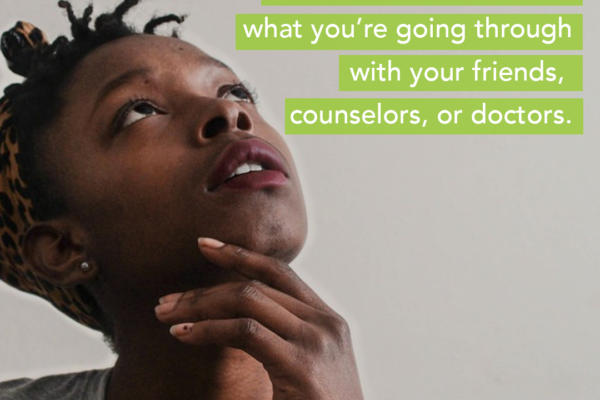 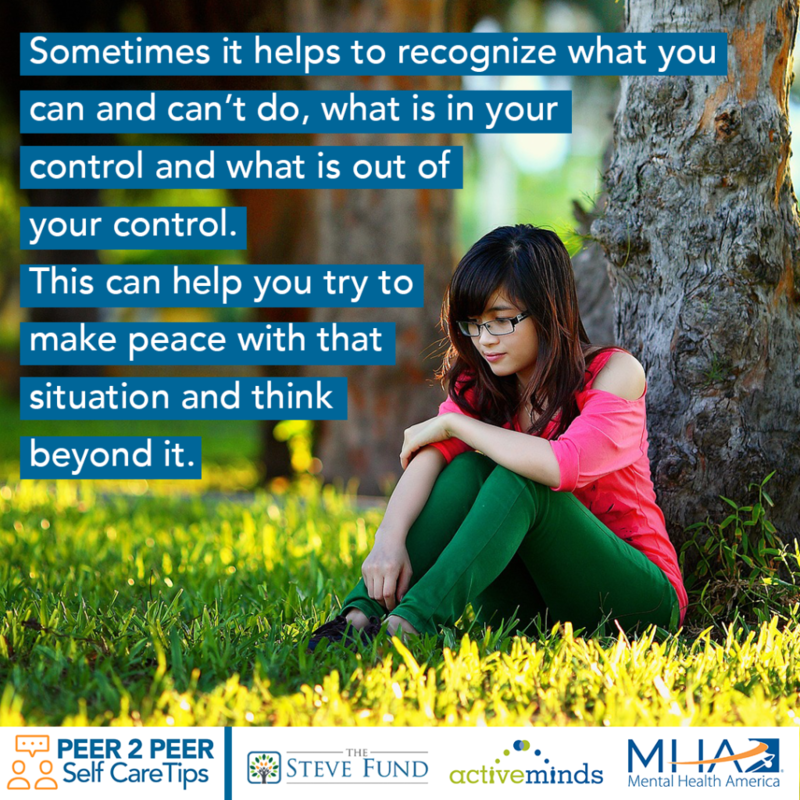 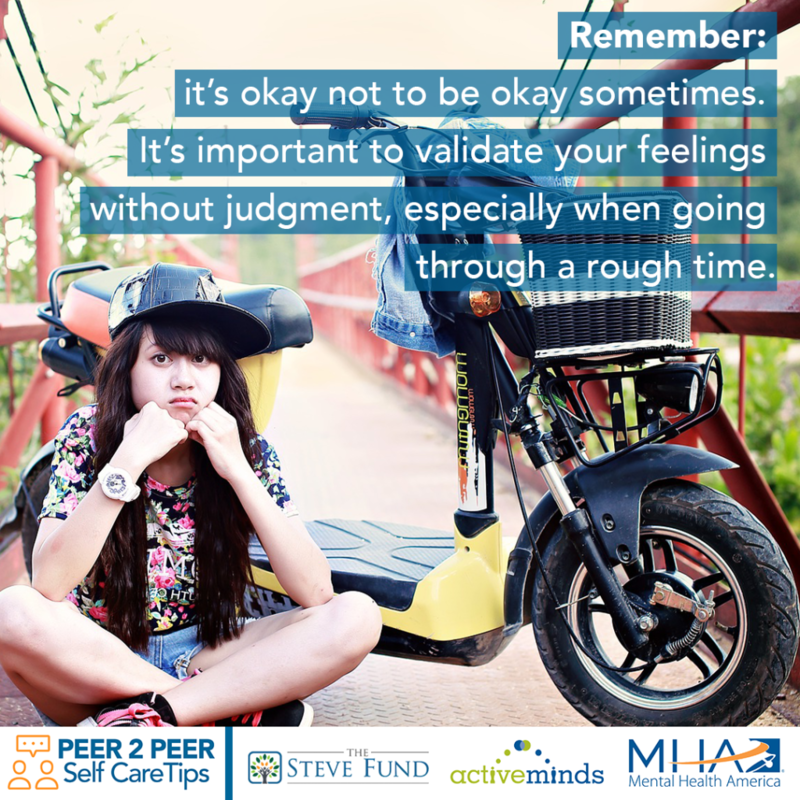 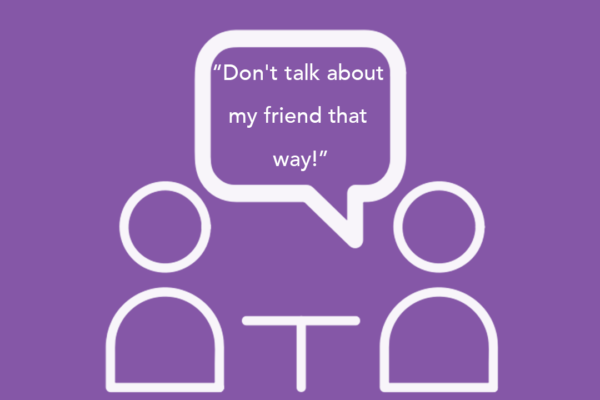 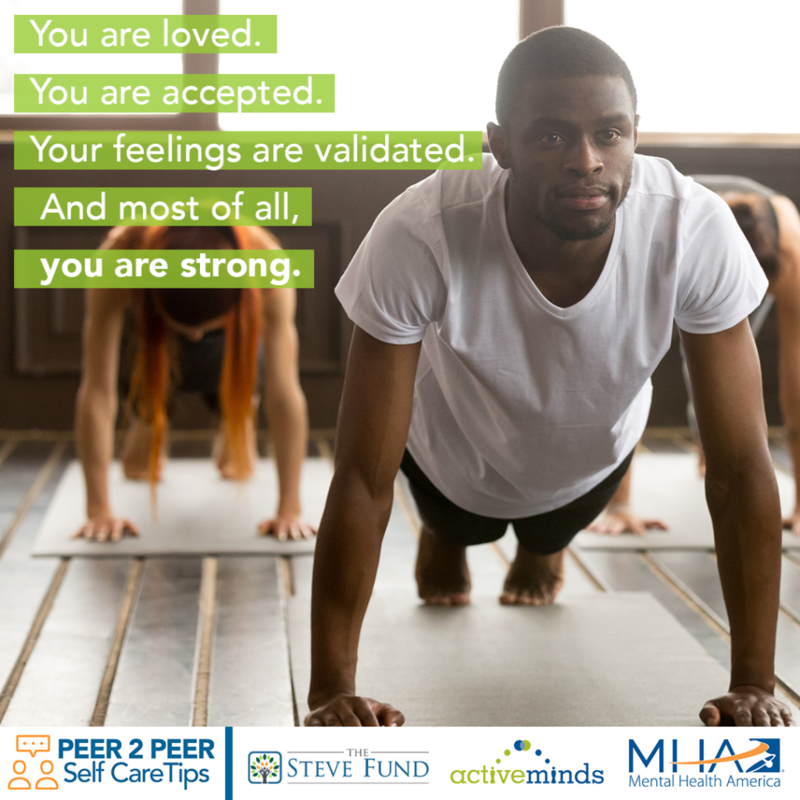 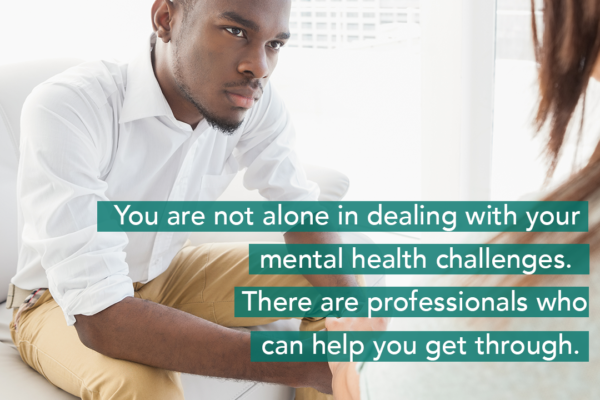 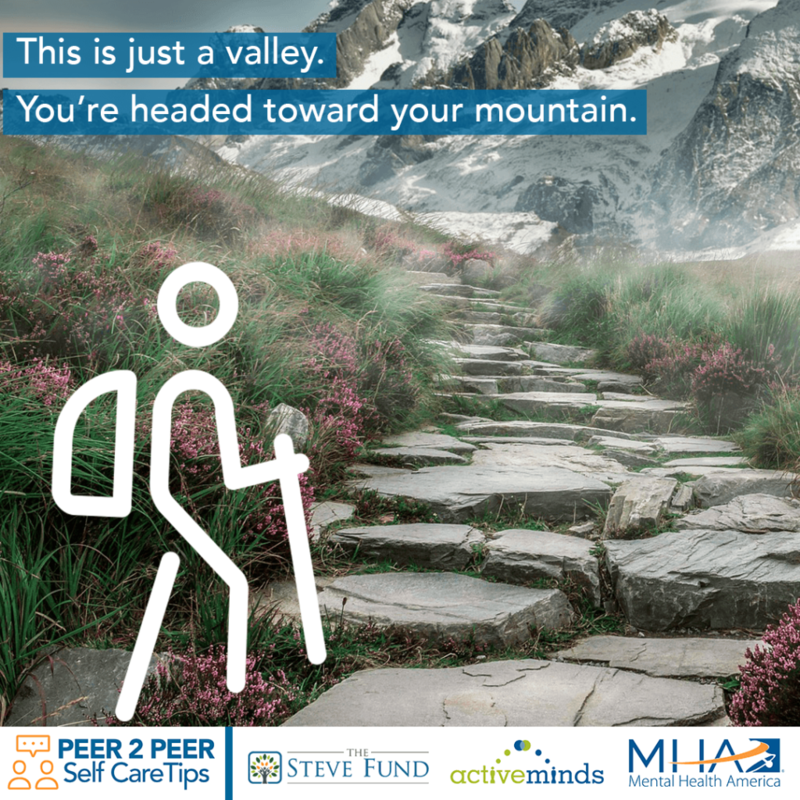 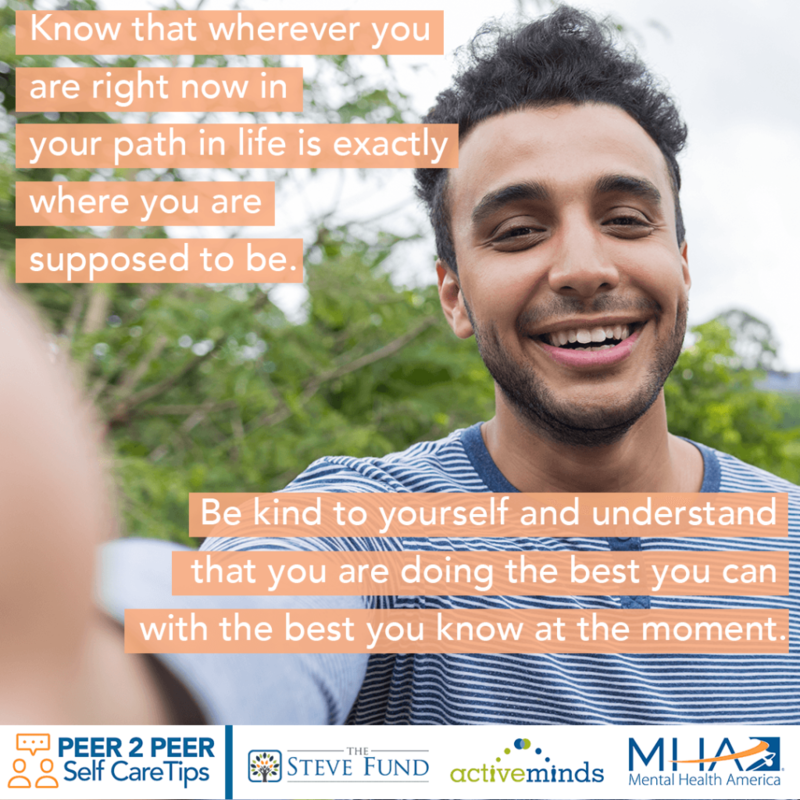 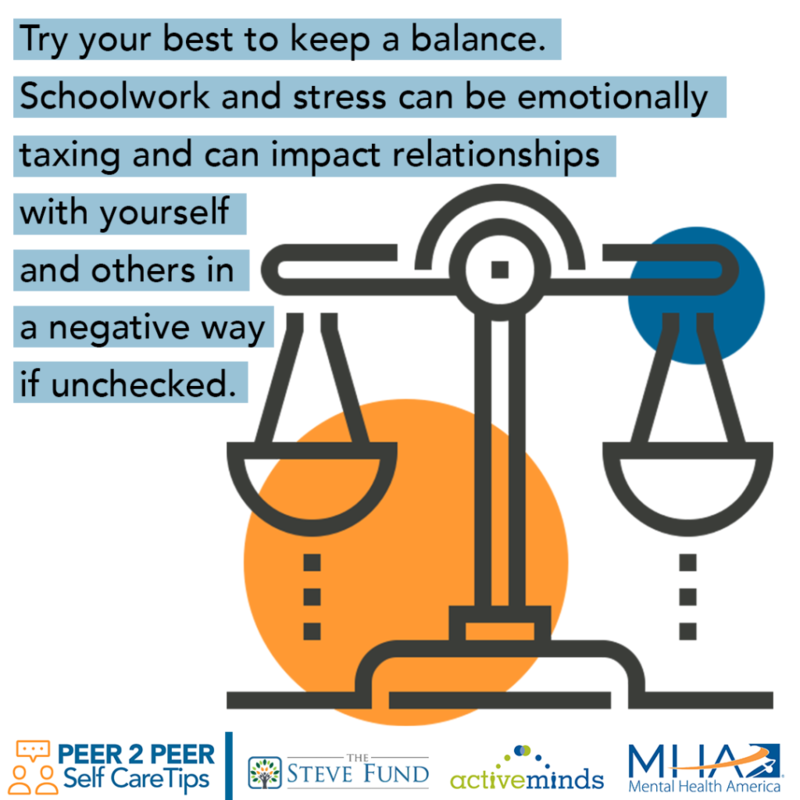 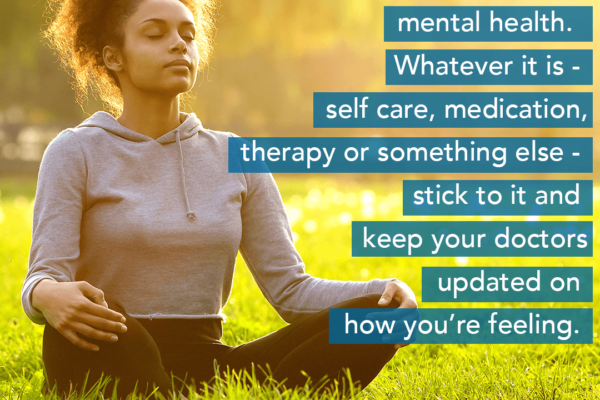 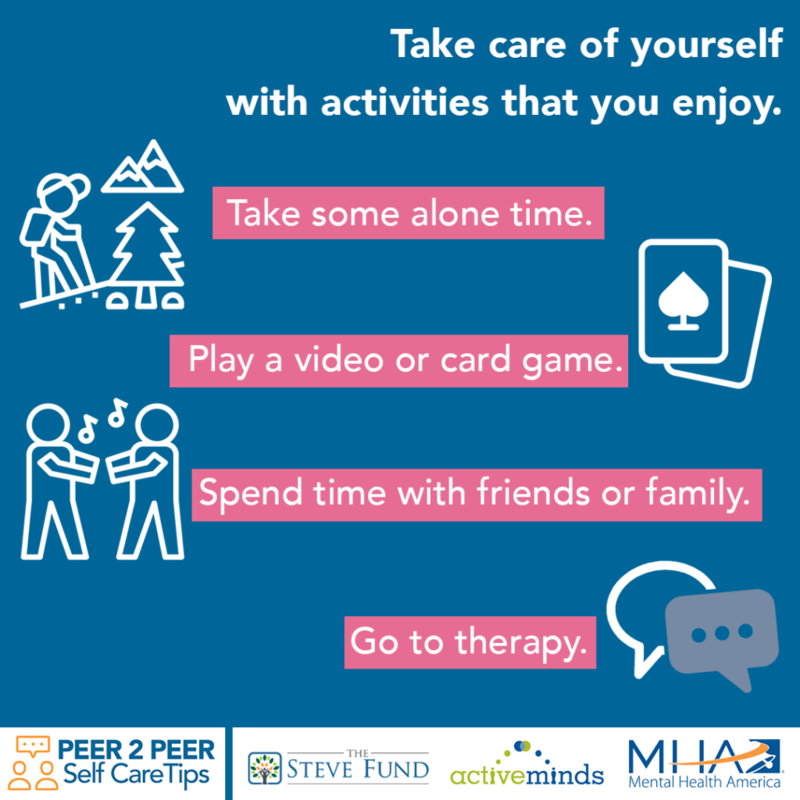 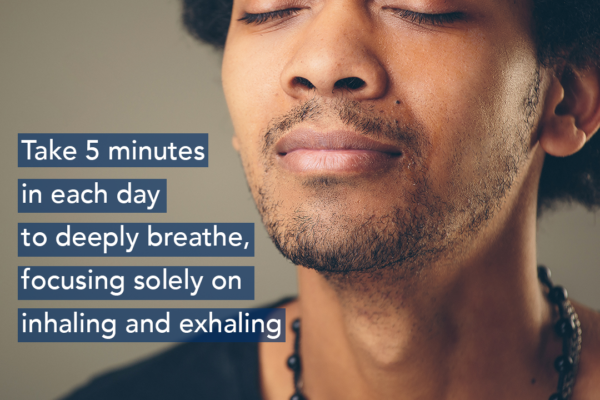 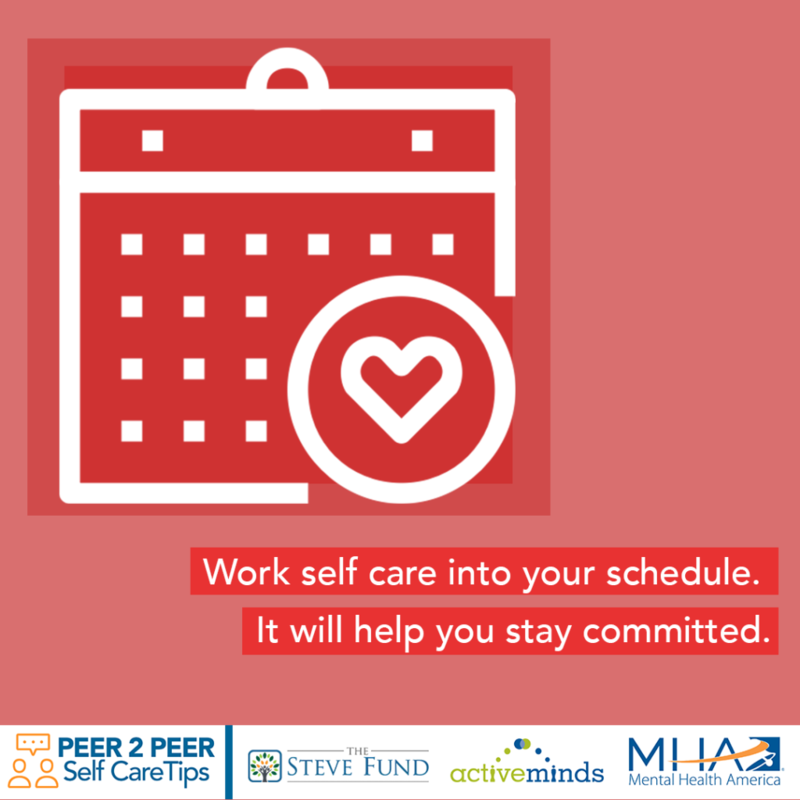 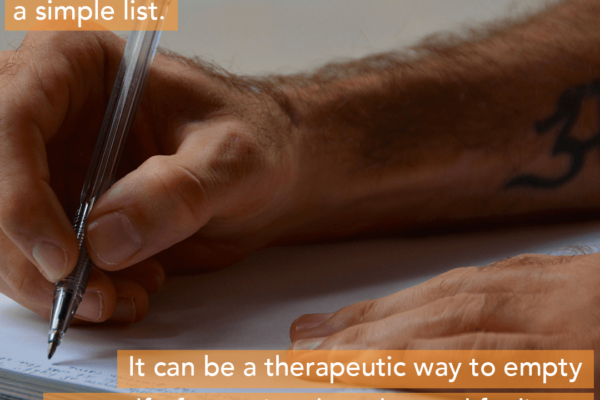 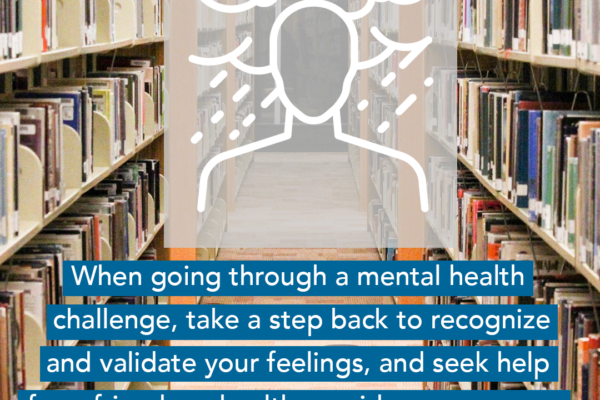 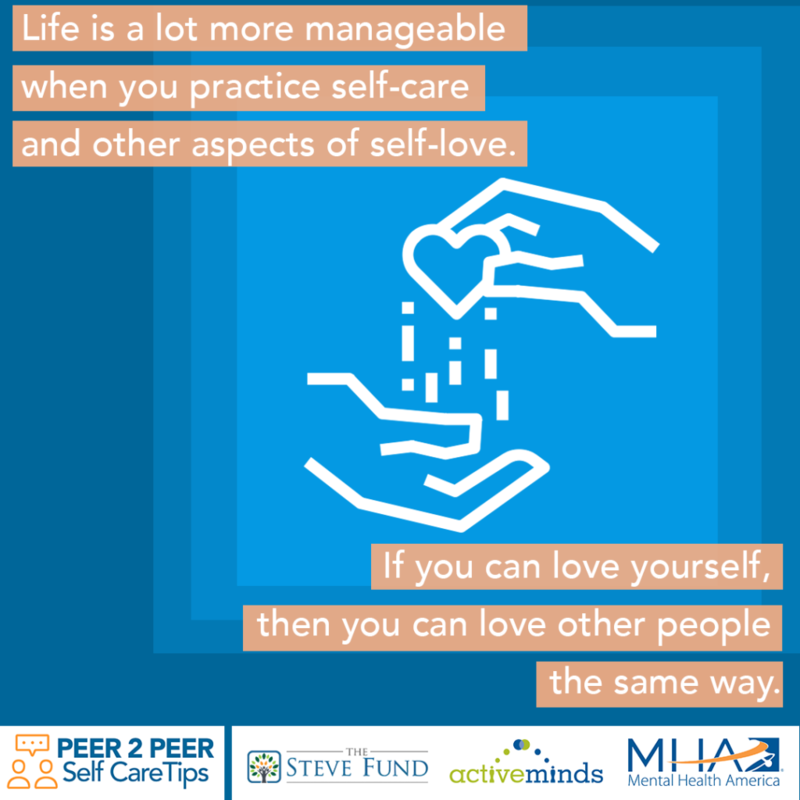 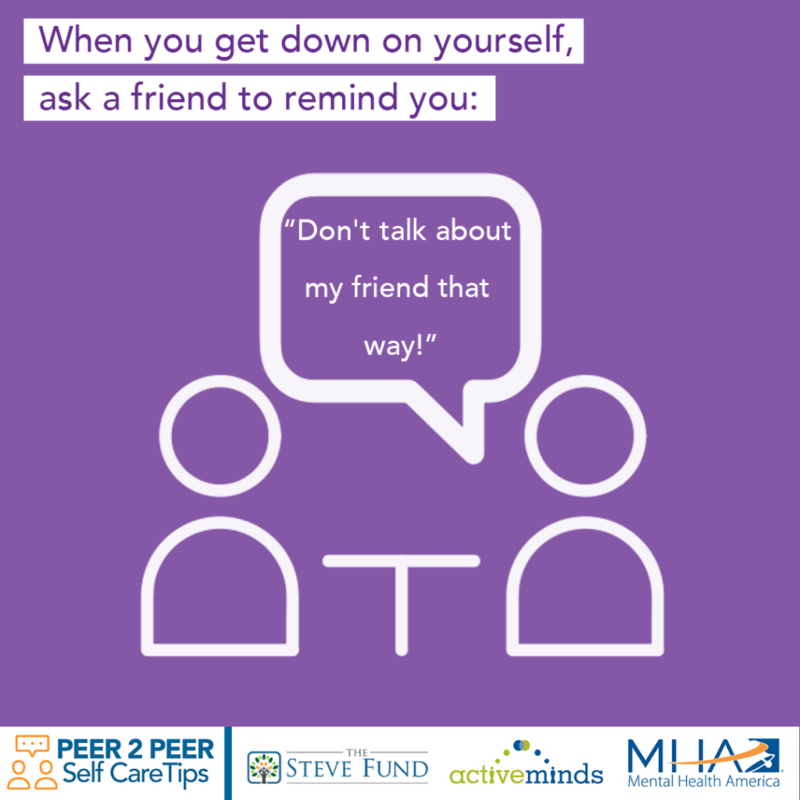 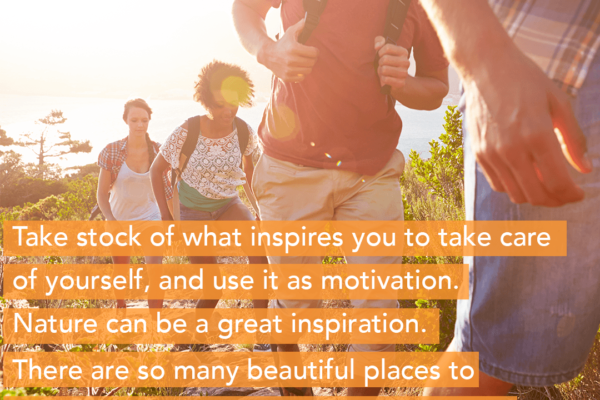 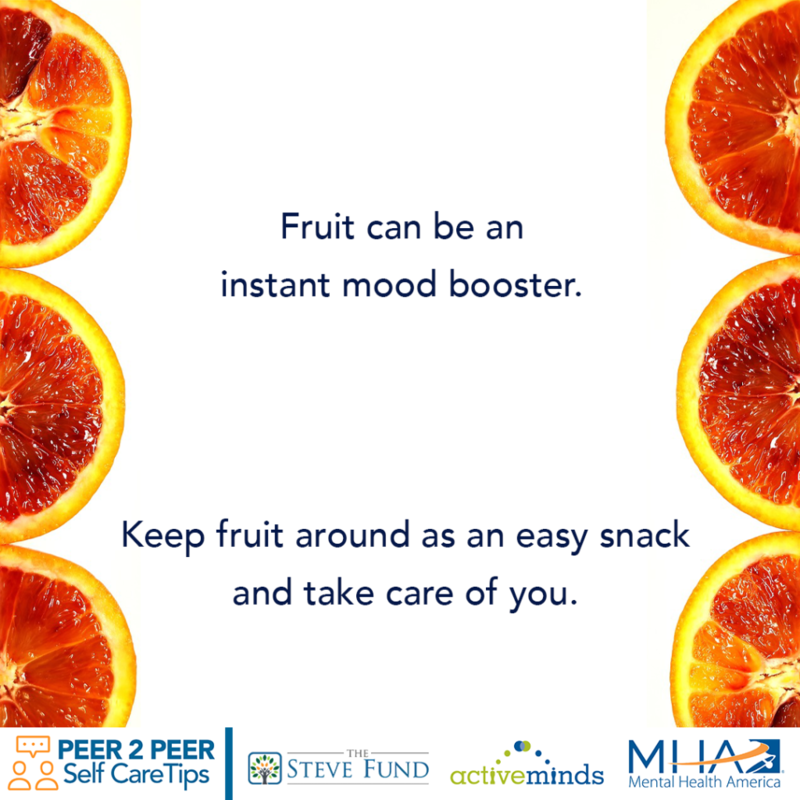 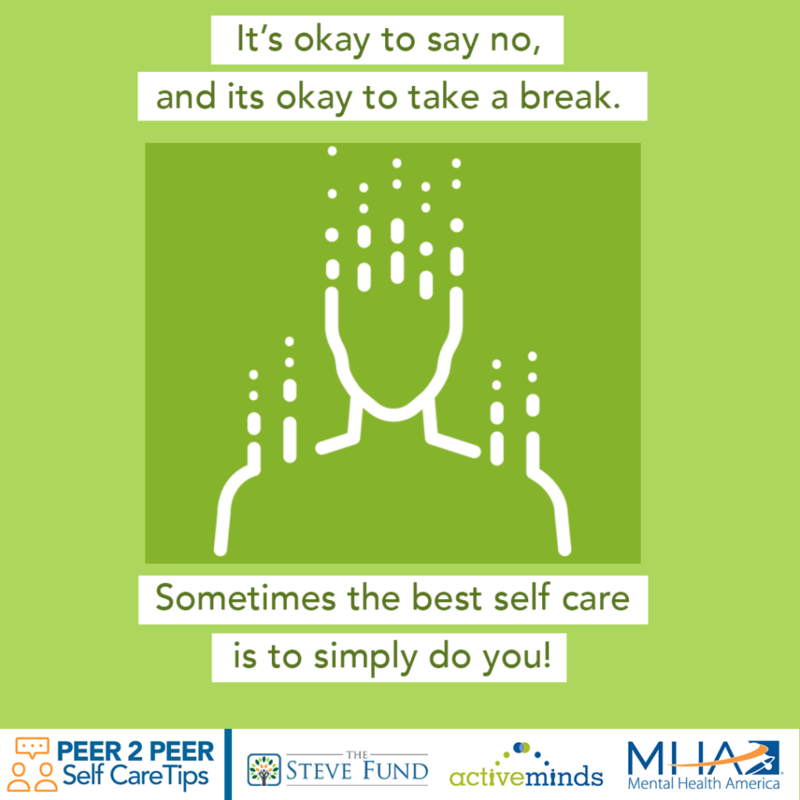 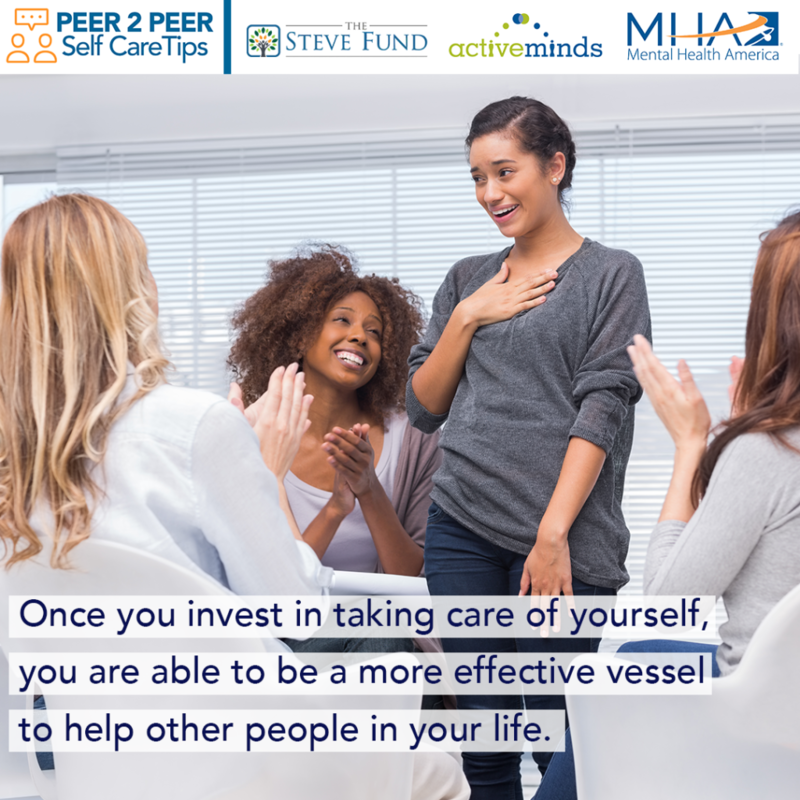 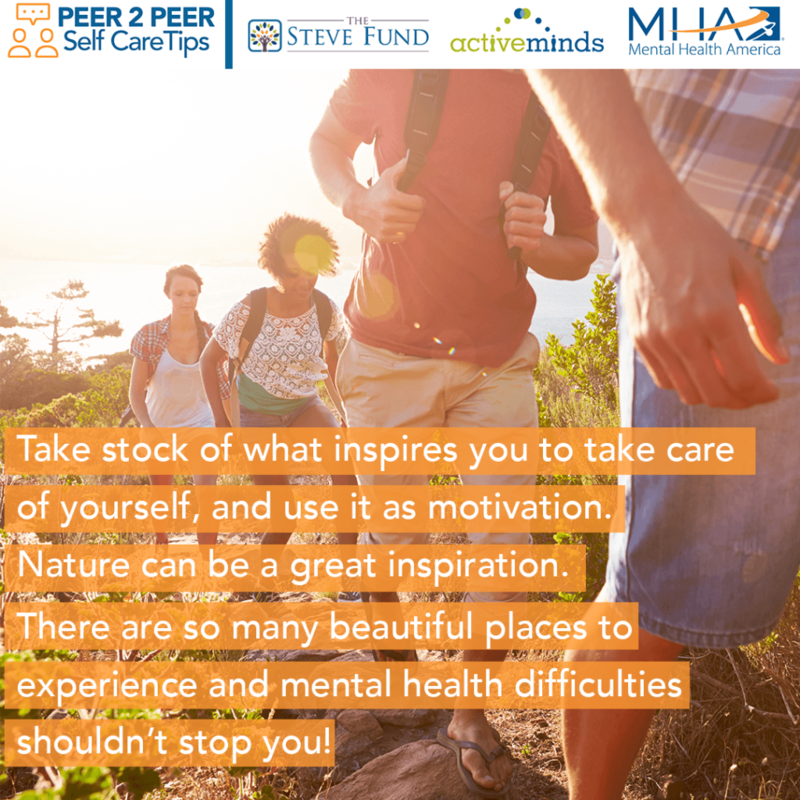 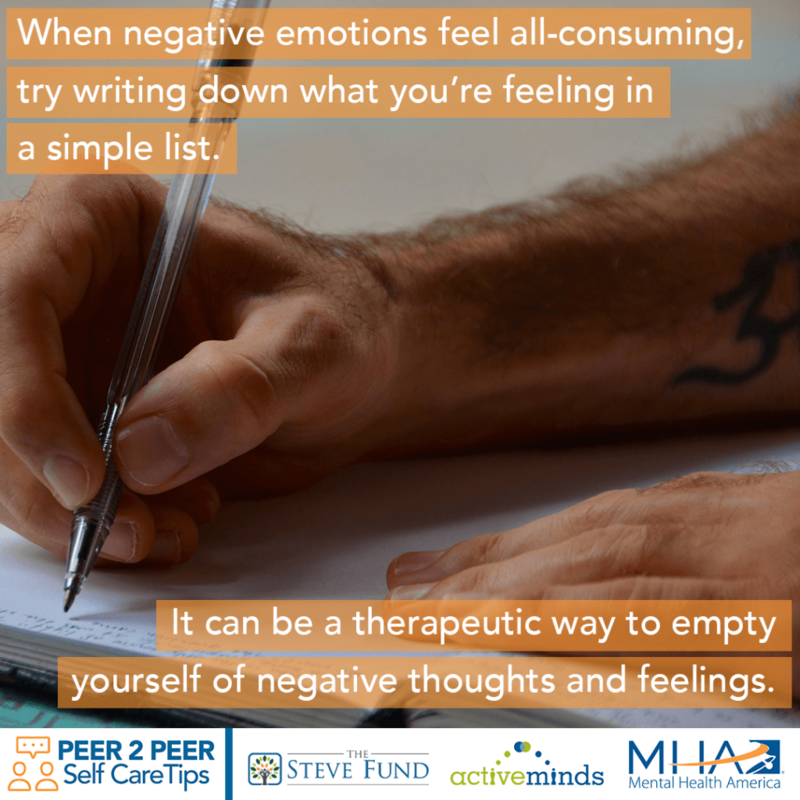 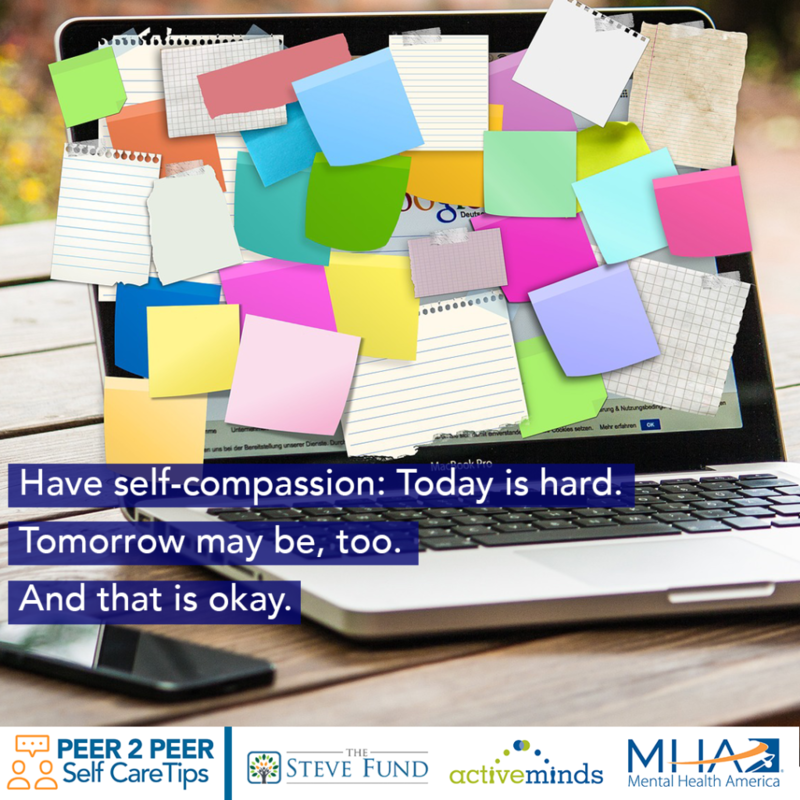 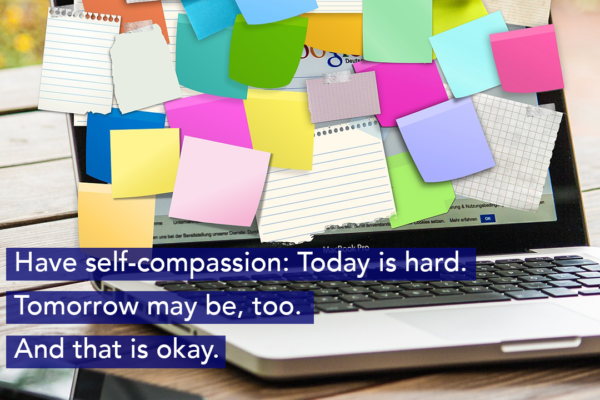 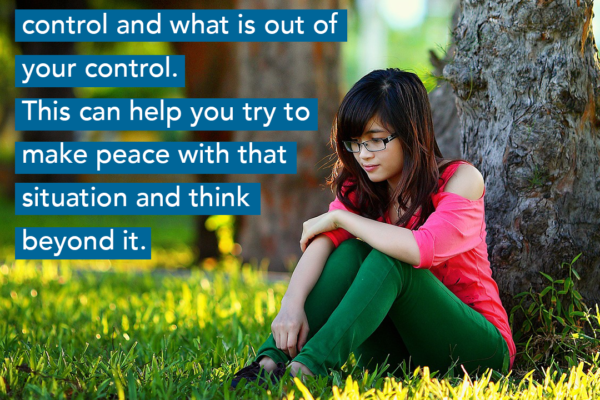 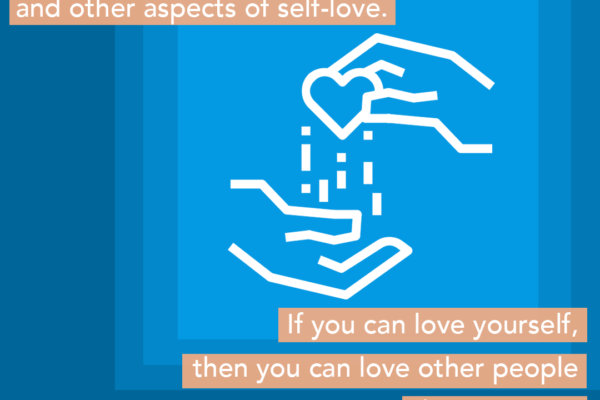 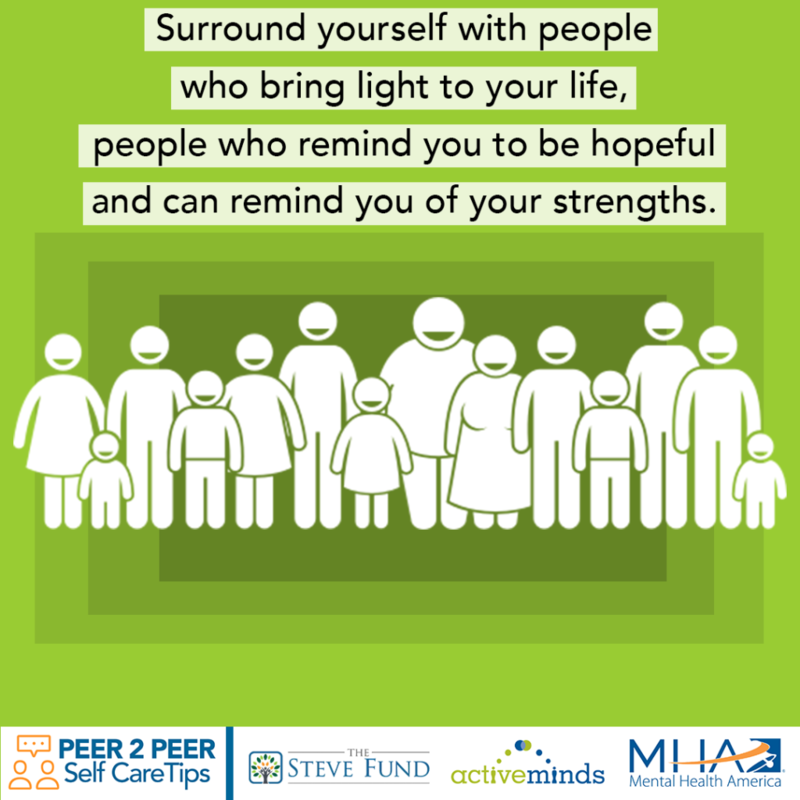 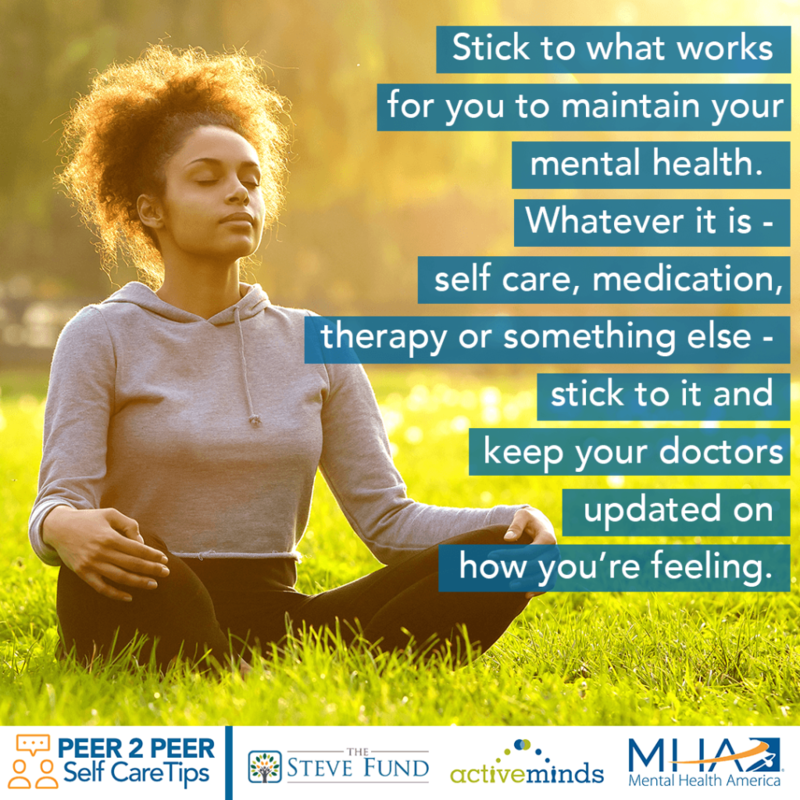 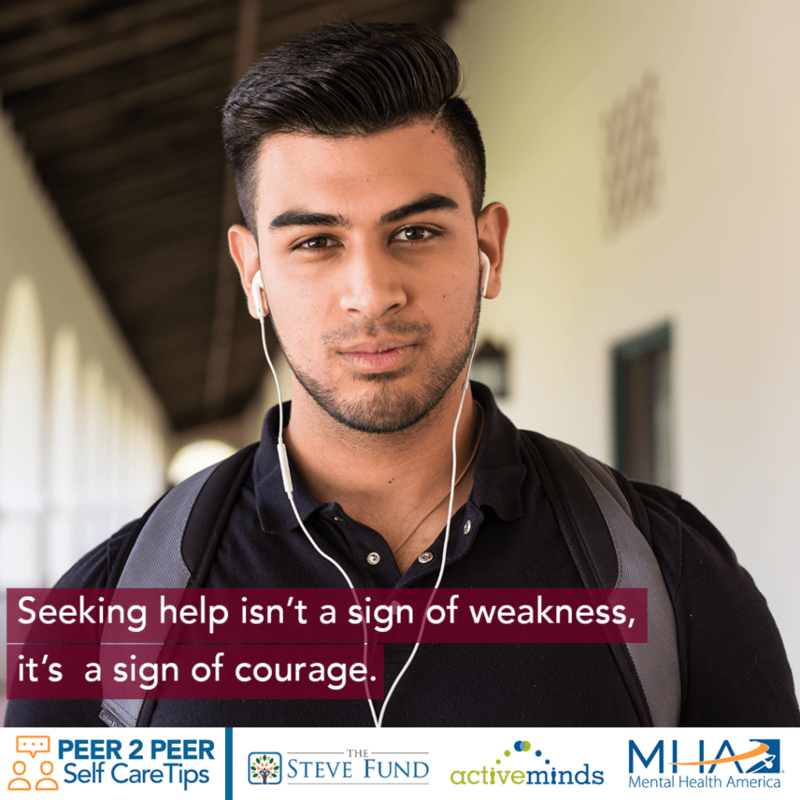 To celebrate, The Steve Fund’s Youth Advisory Board partnered with Mental Health America’s Collegiate Mental Health Innovations Council and Active Minds’ Student Advisory Committee to share peer-to-peer self care tips every day this month. 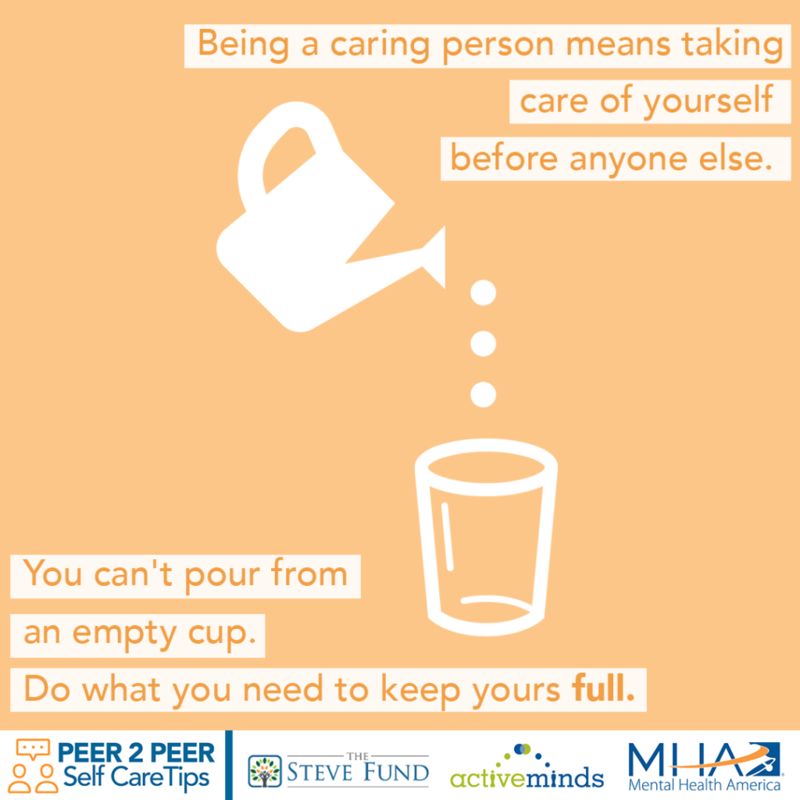 Members of the group shared tips that they tell themselves and their peers to build self care into daily life. 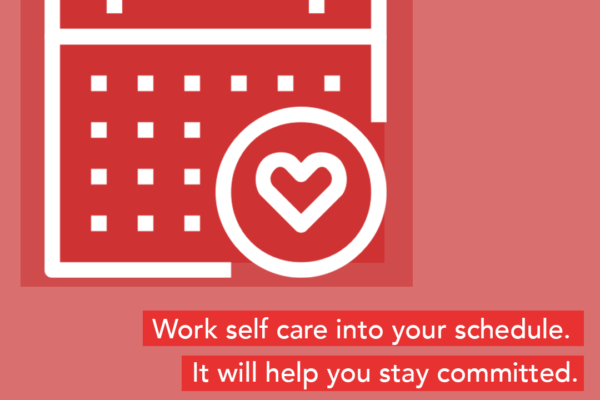 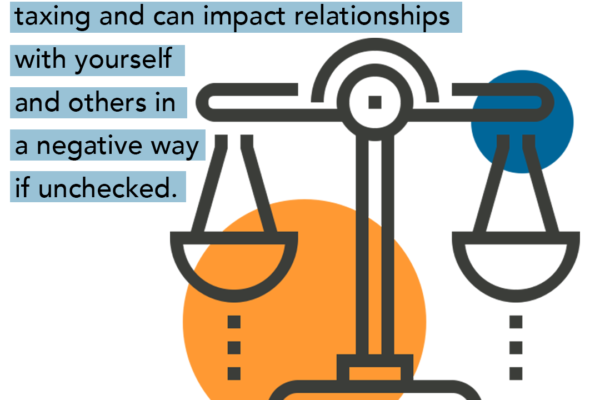 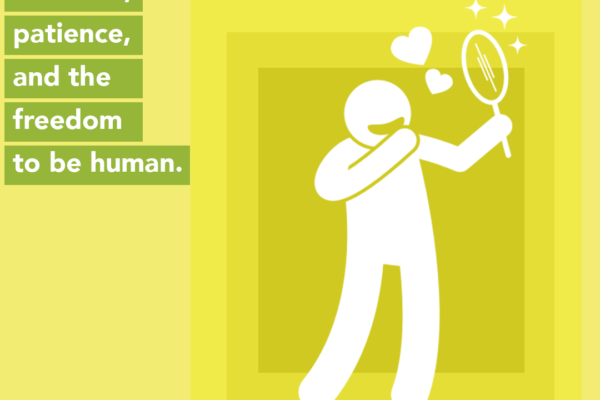 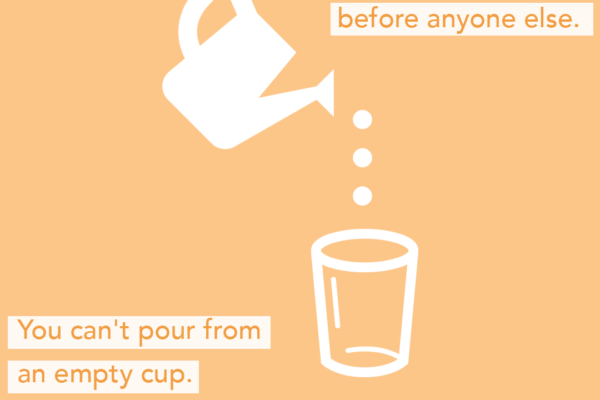 We made these tips into 30 social share cards and we’re sharing one every day in April. 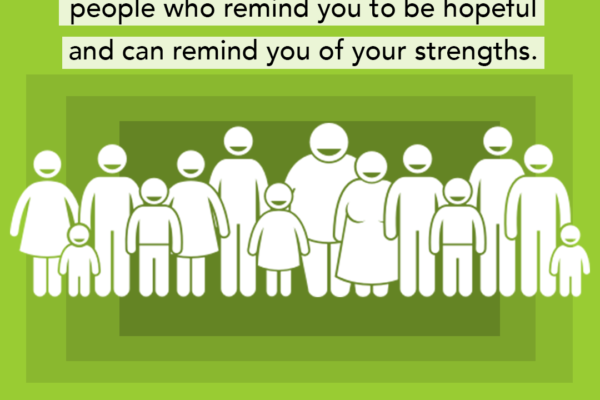 Complete form at bottom of page to access links to toolkit PDF and downloadable social cards. 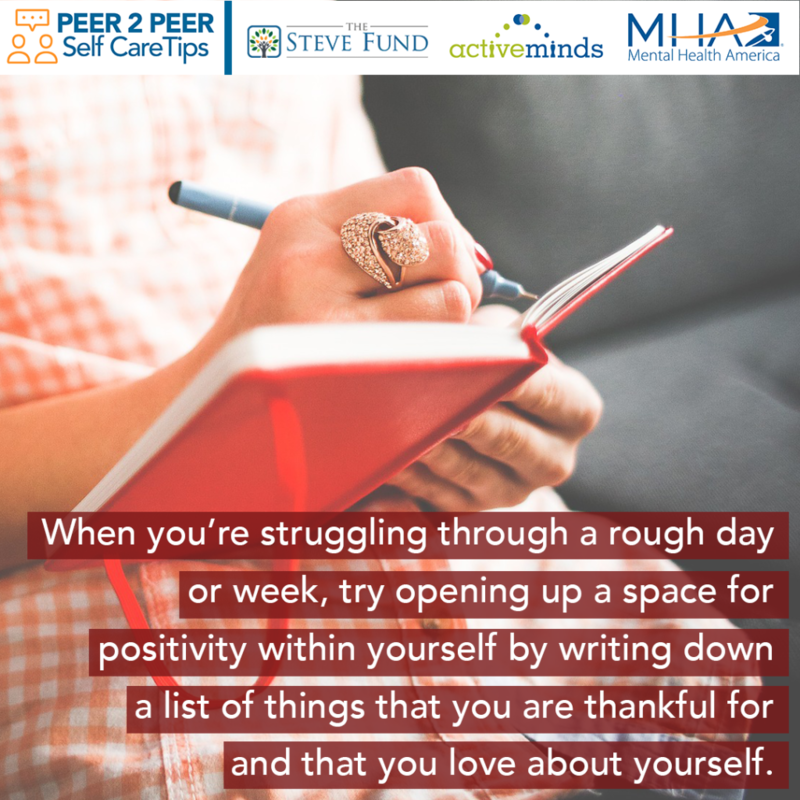 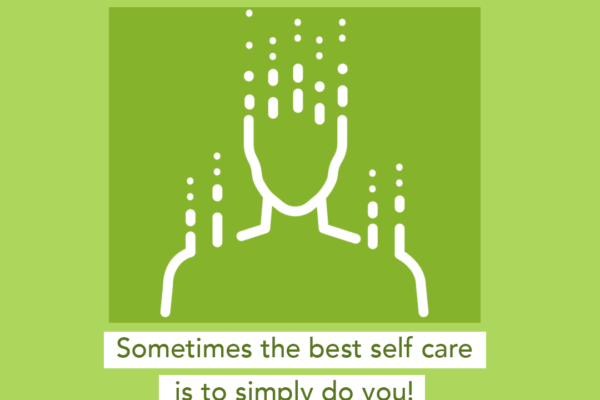 We invite you to follow our daily posts, comment on and share your favorite cards, and join the conversation by posting your own self care tips with the hashtags below! 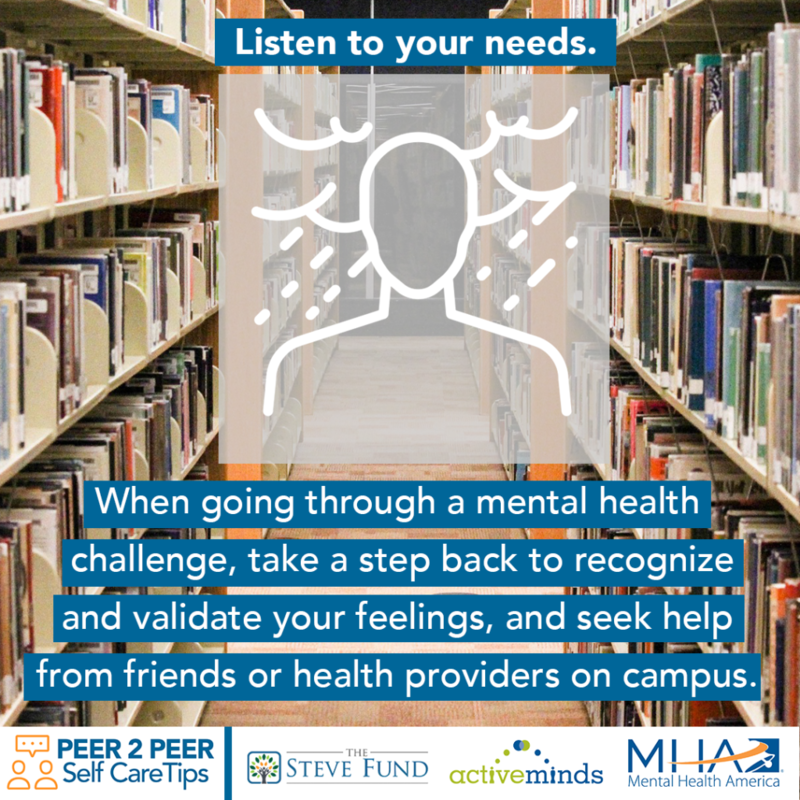 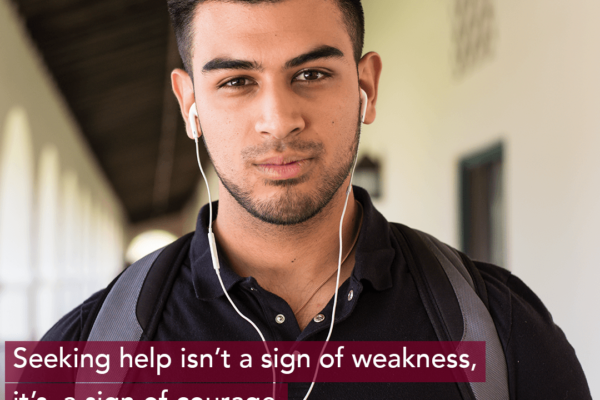 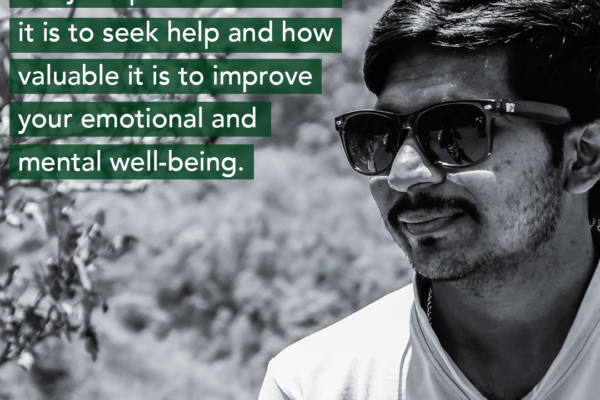 To learn about how to bring equity in mental health to your campus, visit www.EquityinMentalHealth.org and download the Equity in Mental Health Framework, a first-of-its-kind document co-published by The Steve Fund and The Jed Foundation. 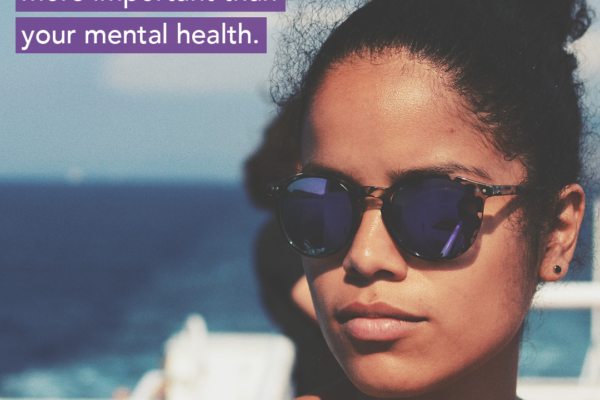 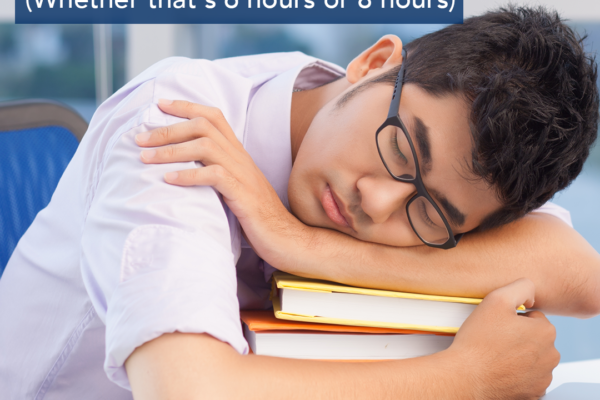 The EMHF outlines 10 actionable recommendations for students, staff, faculty, and campus communities to move the needle toward equity in mental health. 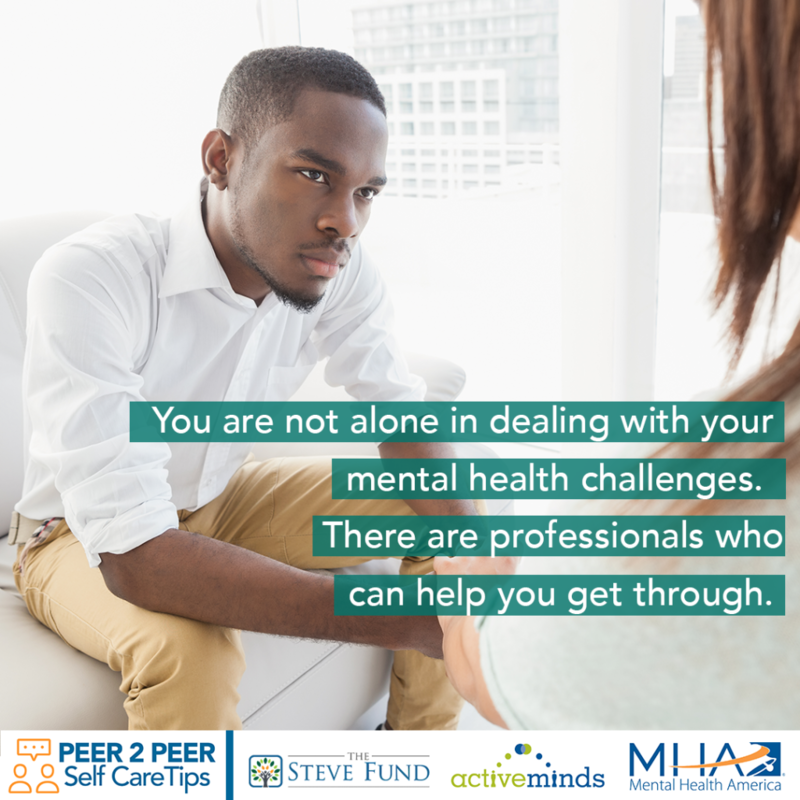 For media inquiries please contact Brian Ackerman: brian@stevefund.org. 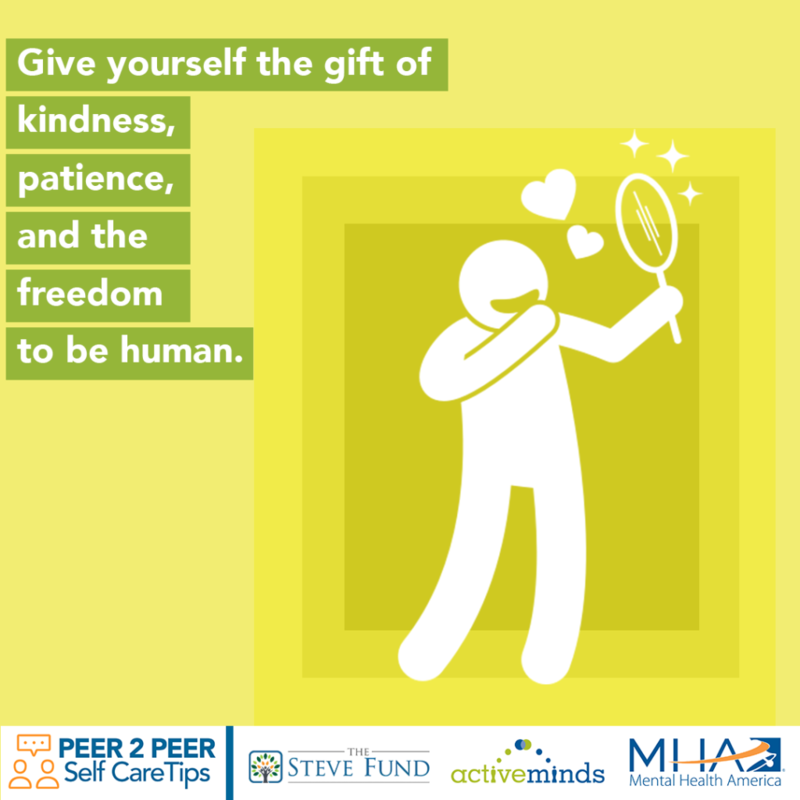 Please complete this form to access our Peer to Peer Self Care Tips social media toolkit and image gallery link to download and post the images yourself.